A marvel of sophisticated headphone engineering and superior sound solutions, Sennheiser CX 180 Street II in-ear headphone is an absolute must-have accessory for people who are fond of music. With a built-in capability of delivering a powerful bass-driven stereo sound, the Sennheiser CX 180 Street II is the perfect gadget that lets you enjoy an uncompromising music listening session. Keeping in mind the wearing comfort of the listeners, the makers have incorporated a finger contoured housing design that makes it easy to adjust and gives it a stylish appearance as well. The last thing that you want to bother about during your music listening session is the noise pollution that comes in from external ambience. This Sennheiser CX 180 headphone helps you do exactly this with its technically superior features that include relatively higher headphone sensitivity of 16 Ohms. 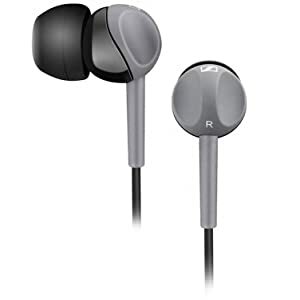 With its perfect in-ear canalphone design coupled with the excellent noise attenuating ability, the Sennheiser in ear headphone ensures that the ambient noise does not interrupt your listening experience. Additionally, these headphones are portable as well as lightweight making them easy to carry around even in your pocket.